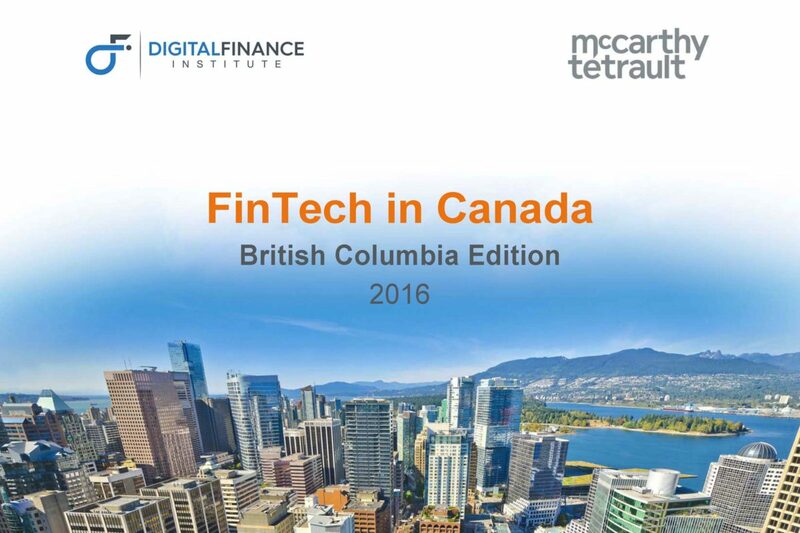 The Digital Finance Institute and McCarthy Tetrault LLP are pleased to release “FinTech In Canada – British Columbia Edition, 2016“, a comprehensive report on the landscape of FinTech in Canada and in 16 other countries. The Report describes the growing components of the FinTech ecosystem, provides stakeholder views and summarizes some areas of the law relevant to FinTech in Canada, and concludes with recommendations for Canada to become a leader in FinTech. This Report is the first FinTech Report to be written entirely by a team of international lawyers with specialized knowledge of FinTech, and although a Canadian project, it includes the views and contributions of experts in FinTech from around the world. Click here to download “The FinTech Report“.